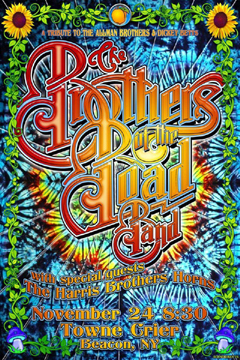 If you have missed The Allman Brothers and Dickey Betts, come share an evening of their music with Brothers of the Road Band, the most authentic and longest-performing ABB Tribute in the USA. Special guests include The Harris Brothers Horns (Allman Brothers, Tower of Power), Josi Davis and more. Playing all the hits, musical surprises and some Susan Tedeschi.